Transcription: This is Battle Creek, where the leading producers of ready-to-eat cereals are located. Early attempts to process grains into appetizing new foods for Sanitarium guests revolutionized the eating habits of people everywhere. Made in Battle Creek was the magic phrase used by over 40 cereal manufacturers here in the early 1900’s. Millions the world over enjoy the benefits and conveniences of packaged breakfast foods today. Cereals from “Foodtown, U.S.A.” have made Battle Creek one of the best known cities of its size in the world. The above historical marker can be found on the corner of Capital Avenue SW and Hamblin Avenue E, in Mill Race Park in Battle Creek, Michigan. Many people know of Battle Creek from boxes of Kellogg's cereal, but did you know it was once home to over 40 cereal manufacturers? The invention of Post Postum and Kellogg's Corn Flakes turned Battle Creek into a boom town in the 1900's. The above Michigan Historical Marker represents this period in time. Currently, Battle Creek is home to Kellogg's World Headquarters, Kellogg's, Post, and Ralston manufacturing plants. I don't know if it is the bitter, cold weather this month or the after holiday let down, but I seem to be having trouble getting motivated to blog. I have had plenty of time to do it with the wind chill and blizzard-like conditions we have been experiencing lately. Who wants to leave the house in that? Plus, I don't have any trouble coming up with ideas, I just have trouble getting them down in blogger! My daughter, Kirsten, a successful social media strategist and creative copywriter, and the force behind my start with blogging, shared the above graphic on Facebook and it got me thinking about my blog writing process. While this graphic may not be representative of where geneabloggers do their best thinking, it is interesting. Where do you get your ideas from? In the shower? At the bar? Or somewhere else? I get the majority of my ideas while reading. I am an avid reader. In addition to popular fiction and magazines, I read blogs, genealogy related magazines, genealogical society newsletters, online news, and genealogy books. Lately, I have been reading "Digging Deeper" by Karen A. Clifford. Ms. Clifford's book is an excellent resource for pre-1850 research. I have a number of ideas written down on an editorial calendar from Ms. Clifford's book alone. An editorial calendar is an organizational tool to help in the writing process. It is a place to schedule ideas across many platforms. For me, I use one to schedule my blog posts. There are many templates available online, but I use a simple monthly calendar and plan my ideas in advance. . I use my Roots Magic software to create a calendar report and look for ancestor's anniversaries and birthdays and I fill in with the ideas I have collected through my reading. Since my mind isn't what it use to be, when I think of an idea I usually write it down. I have a journal like book where I keep ideas. 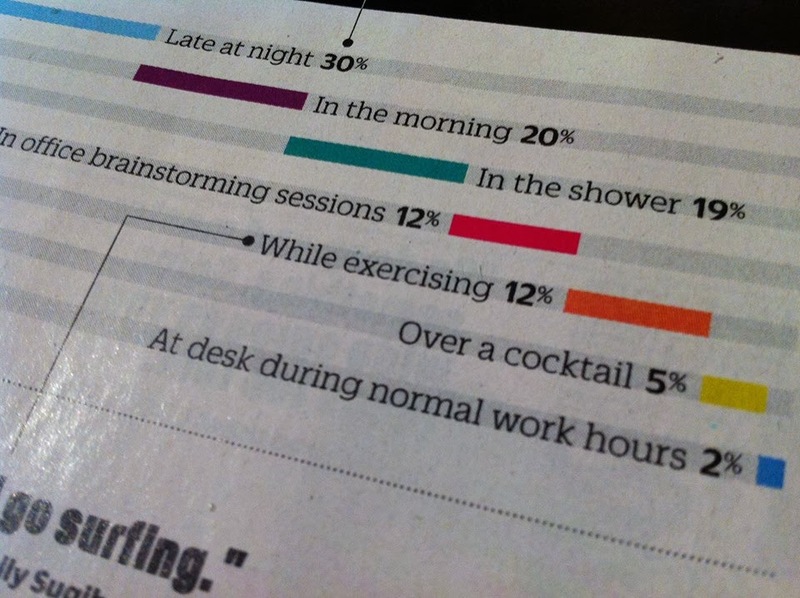 Are you one of the 19% who think in the shower or one of the 5% who think over a cocktail? Leave a comment telling where you do your best thinking? GOBSMACKED? NEHGS HAS E BOOKS TO BORROW! I am so excited about Webinar Wednesday today that I have to write about it immediately! First, it has only been a few days that I knew about New England Historic Genealogical Society webinars. I signed up as soon as I saw they were offering online education in this format. Today's topic was Getting the Most From NEHGS ... from Home. Presenter Jean Mcguire, Library Director, did an excellent job showcasing all that americanancestors.org has to offer, especially to the 85 percent of attendees that do not live in the Boston area. I took three pages of notes. Ms. Mcquire explained the difference between guest users and NEHGS members and what each group can access. You do not need to be a NEHGS member to participate in the webinars and you do not need to be a member to use the website. Guest users have access to 15 databases on the website. In addition, every month they can access another 4-5, which change monthly. Guests can view the free databases, search the catalog, shop at the online store, download history charts and forms, submit a question to "ask a Genealogist", use the online learning center, and more. That is a lot of information for free. The remainder of the webinar was explaining how members may use the features of American Ancestors including. Databases: lots and lots of databases accessible from the database area, the one with the green leaf clip art. Did you know on each database page there are search tips to help you with that database? External Databases: 19th Century U.S. Newspapers, Early American Newspapers 1690-1876, Marquis Biographies, and American Jewish Historical Society. Journals/Magazines: to numerous to mention, but found under the "Publication" tab on the home page. Online Library Catalog is accessed by clicking on the "Library" tab at the top of the home page. Search allows you to search for resources. Advanced search is available as well. Digital editions search is if you just want to find digital resources that are available for you to view. E books is why I am gobsmacked! I had no idea they offered e books for checkout. You have to have a free open library account to borrow e books, but that is easy enough to sign up for at Open Library. (Library of Michigan participates with Open Library too.) There is a borrow e book link. Books are available for two weeks and only one person at a time may borrow. Ask a Genealogist: Submit a reference question and the staff will try to answer it. Schedule a Consultation: Consultations with an expert in your area of research are available to help you at home via telephone or in person at the library. Consultations can be from 30 minutes to two hours, you decide. Hire Research Service: NEHGS researchers are available to do the research for you using the sources in the library. Help and Support: The website offers help and support for users. There is a video tutorial on how to use the website, if interested. The webinar ended with a question and answer period. NEHGS hit it out of the ball park with this webinar. I am looking forward to the next one, "Ten Steps to Writing and Publishing Your Family History". 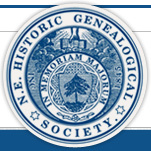 If you haven't checked the NEHGS webinars out you are missing a great opportunity to expand your genealogical learning. Run, don't walk, to your computer and sign up for their webinars-you won't be disappointed. "A view of the bay is worth half your pay" was a common saying in Harbor Springs, a small, resort city on Little Traverse Bay in Northern Michigan. Needless to say, we did not have a view of the bay in our two bedroom condominium on Lake Street. The bay was a beautiful site, especially as you walked from our home to downtown Harbor Springs. The walk along Bluff Drive was beautiful. It overlooked the downtown area of Harbor Springs and the boat filled harbor. You could look across the harbor and see the city of Petoskey. We spent one short year in Harbor Springs. It was our home from September 1986 to August 1987. We moved to Harbor Springs because Kirk accepted his first elementary counseling job at Shay Elementary School. I felt like I was on vacation for most of the year that we lived there. We moved in September and were able to enjoy all that Fall had to offer. The leaves changing on the trees along the harbor was beautiful. The drive from Harbor Springs to Cross Village was called the tunnel of trees. It was a great drive any time of the year, but in the Fall the colors were spectacular. Another fun activity in the Fall was attending the high school football games. Kirsten loved football and enjoyed going to the games. She would have to play football when we got home. Winter time brought snow, lots of snow. The area around Harbor Springs was a great skiing area. I was pregnant at the time, so skiing wasn't on my to do list. The businesses along Main Street in Harbor Springs did a beautiful job of decorating at Christmas time. A beautiful lighted tree could be found at the end of Main Street. Kirsten loved going downtown to see the tree and lights. January of 1987 brought a new addition to our little family when Travis was born. He was born in Petoskey, about ten miles from Harbor Springs. Luckily, the night he was born was not a snowy night and we made it to Petoskey in record time. We spent most of the early months of 1987 inside. Kirsten would go outside in our back yard and play in the snow occasionally. I made a special paint for her so she could paint the snow. Every time I nursed Travis I would read to Kirsten. Kirsten loved music and I would put records on the record player and she would dance. One of her favorites was Disney Mousercise. It was a movement and exercise album filled with Disney songs. While Kirsten did Mousercise, I would play with Travis on the floor. Kirsten didn't watch a lot of television, but she had a videotape of Romper Room. She loved that video so much she wore it out. She could never understand why they couldn't see "Kirsten" or "Travis" in their magic mirror. One part of the video was a craft making a cone to hold your popcorn. We made a lot of popcorn cones that years. Kirsten and I would do crafts, play games, and have fun together. Kirsten and Travis in Mackinaw City, Mackinac Bridge in background. Kirk, Kirsten, and Travis walking along the bluff in Harbor Springs. Springtime was the time when we would take Kirsten and Travis on outings. We would picnic at the Petoskey State Park and Harbor Springs Deer Park. We would walk along the harbor and feed the ducks, until one of the ducks bit Kirsten. She didn't want to feed the ducks after that. Kirk would take Kirsten and Travis on walks. Travis was in the stroller and sometimes Kirsten would be on her bike. The stroller got a lot of use that year. We would visit a fabulous toy store, Rocking Horse Toy Co., in Harbor Springs. Kirsten loved the train set up there. Harbor Springs turned into a resort community in the summer. Traffic increased, restaurants and shops were busy, and there was a vibe in the city that was fun to be a part of. 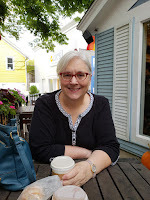 We took advantage of Harbor Springs' close proximity to the Mackinac Bridge area and explored Mackinaw City, Mackinac Island, Fort Michilmackinac, and surrounding area. Petsoskey was another area that was fun to explore, except for the traffic. It would take twice as long to get from Harbor Springs to Petoskey in the summer as it would the rest of the year. Petoskey State Park was one of our favorite places to go in the summer. We would pack a picnic, have lunch, swim a little and go home for nap time. We would see many sunsets at the park that summer. Harbor Springs was an interesting place to live. It was a hard place to make friends at. We spent a lot of time with just the four of us. The school Kirk worked at was interesting, too. The principal wanted to hire someone other than Kirk and was overruled by the other two principals and superintendent. I think this made it difficult for Kirk to be accepted. The politics at the elementary school was something else. It made leaving Harbor Springs easier. The home we lived in was a two bedroom condominium with a one car garage. The red front door led to an open floor plan for the living room and kitchen with eating area. A hallway led to the bathroom and two bedrooms. An unfinished basement completed it. We moved from a four bedroom, two story home and many of our possessions stayed in boxes. Kirsten's bedroom was also her playroom, so bedtime was difficult at times. She would get her toys out and take them to bed with her. We would find her sleeping on top of her toys. Travis had a crib in our bedroom, which was a fairly good size room. Although we only lived in Harbor Springs for less than a year, it was a year that we made many family memories. Memories I will treasure for years to come. James Burnett Chalmers met Emma Louise Fredrich when he was in the United States apprenticing for plumbing and tinsmiting. They were married on 6 June 1905 in Toronto, York, Ontario, Canada. Source: "Ontario Canada Marriages, 1801-1928," digital images, Ancestry.com (ancestry.com : accessed 2 October 2011), Entry for Emma Fredrick. Emma is the daughter of Johann August Fredrich and Louise Zastrow Fredrich. She was born in Manistee, Michigan on 13 July 1876. James was born in Lethnot, Scotland to John Chalmers and Catherine Burnett. James and Emma lived their lives in Canada. First in Owen Sound, then Point Ann, Teeswater, and Durham before settling in Acton, Ontario, Canada. They were the parents of eight children: Catherine, Lottie, Robert, Mary, Oral, Margaret, Audrey, and Richard. I have gotten to know my grandaunt through her granddaughter Mari. Check back to learn more about James and Emma's family. Three years ago I started writing a day in the life blog posts in honor of my children's birthday. This year I am writing about my son, Travis, turning three. It doesn't seem that long ago that we were celebrating this birthday. Travis has grown into a fine, young man with a great job with the University Athletic Association (UAA) at the University of Florida. I won't be with Travis as he celebrates his birthday today, but I hope it is as special as he is. It was January, 1990, our family had spent the weekend visiting friends in Port Sanilac, Michigan. We stopped on the way home and treated the birthday boy to a dinner at Chi Chi's in Lansing, Michigan. We drove home after dinner and continued the celebration by opening presents and enjoying cake and ice cream. The birthday theme was Batman. I don't know if this was my love of Batman or Travis', but the cake, napkins, and one special gift was Batman related. Here are a few pictures from his third birthday. Travis enjoying his Little Tikes hard hat and digger. He used it to pick up cars, blocks, toys, and more. Plus, I think there were a few holes in the yard after this. Who doesn't love Mickey Mouse. This was the sweatshirt, a pair of warm up pants were included. A gift from 'sis', his name for Kirsten. It's a Ghostbuster's Ghostpopper gun. It had cylinder foam pellets that Travis loved shooting around the house. Travis and his bat cycle. He rode his bike all over-in the basement, garage and driveway.